A lot is written at this time of year about the joy of giving, but we believe it’s something that should be a priority all year round. That’s why when we heard about Ski 4 Cancer’s ambitious Everest World Record, we knew it would be too good to miss. Rhys has been involved with Ski 4 Cancer for many years as a Patron, and we knew we wanted to do something to raise funds for this brilliant charity in the New Year. It was the mention of Everest which initially caught our attention, and 2016 will be a milestone year as it marks 10 years since Rhys climbed the peak, so it seemed a very fitting challenge. Fortunately, skiing the height of Everest takes significantly less time than the two months it takes to climb the mountain, but given our poor skiing we are probably just as likely to get injured! So, on 11th March 2016, in the beautiful Austrian resort of Saalbach, we’ll be joining hundreds of other skiers (most of whom will be far better skiers than us!) to attempt a new Guinness World Record. We’ll ski a predetermined route through Austria’s largest resort, tracking our vertical progress via a special contest on the Map to Snow smartphone App. Our ski experience on paper belies our wobbly technique in real life. We did manage a 3 week ski-mountaineering expedition in East Greenland, and climbed the highest peak in the Arctic Circle . In the Alps however, we place ourselves firmly in the class of enthusiastic amateurs, with our own special blend of survival skiing and determination. Obviously we’ll be getting some practice in before the Everest challenge, and have promised to donate £1 every time we fall over. Ski 4 Cancer could stand to do quite well from this! Ski 4 Cancer is a cancer respite charity, they exist to ease the burden of living with a cancer diagnosis or a recent bereavement. They recognise that the diagnosis affects the whole family and not just the patient. Their programmes reflect this and don't just focus on the cancer patient but the immediate family as well. Ski 4 Cancer provides a wide range of respite opportunities for British families living with cancer. From family days to longer holidays in the UK and abroad. They also make grants to UK based palliative care institutions and fund research into the effects of exercise in both preventing the onset of cancer and how it can help people with their recovery after diagnosis. This charity is very close to our hearts, as like so many others, we have both lost close family and friends to cancer. 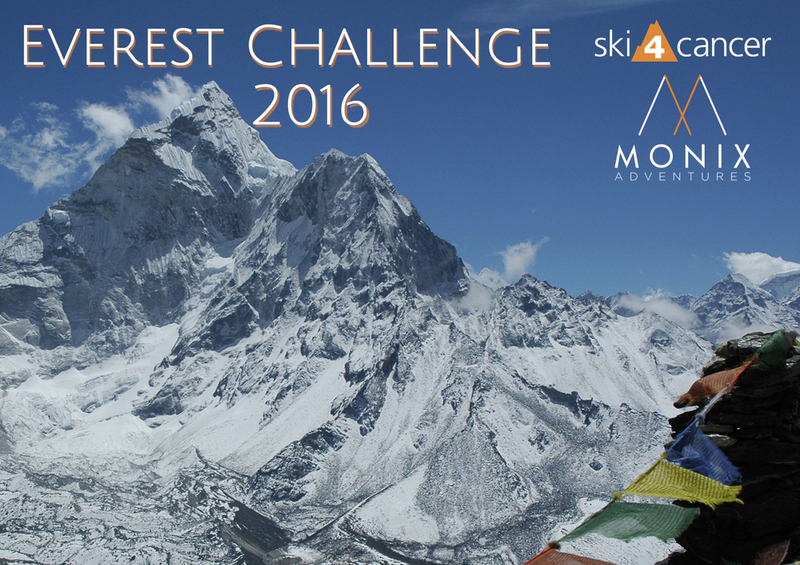 If you would like the chance to join us on this exciting challenge please contact Ski4Cancer for more details. We will keep be posting our progress whilst training and fundraising for this event across our social media accounts on Instagram, Twitter and Facebook. Sign up to receive the latest news offers and updates.